Perfect for a bright red look. Not too dark or orangey. This is a bright red for when you're looking for a good cherry red. Not too dark like the Cranberry Red or orangey like our standard Red. 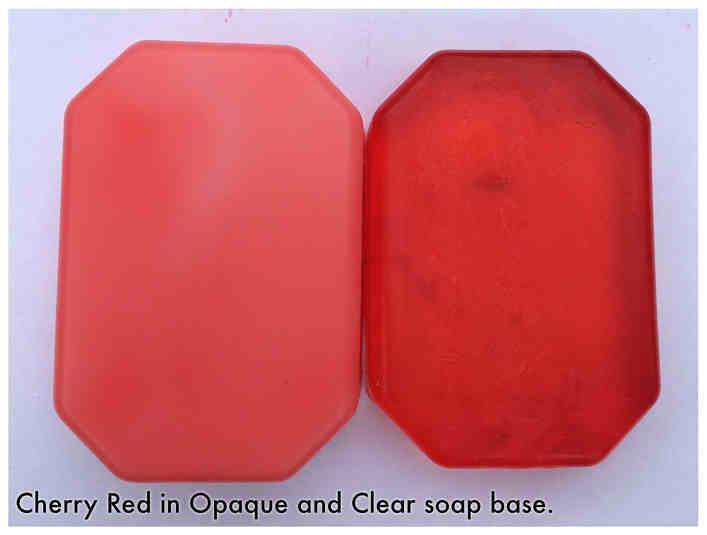 In clear soap it looks bright but in opaque bases it takes on a more muted red.